When a Silver Alert is issued for a missing senior citizen, highway signs flash details about what I think of as the getaway car. I enjoy imagining an elderly gent or lady switching off Fox News, rising from the reclining chair, and making it clear that no one’s ready to go gently into that good night just yet. In real life, of course, such alerts help desperate families find missing seniors with Alzheimer’s disease, dementia and other age-related challenges. 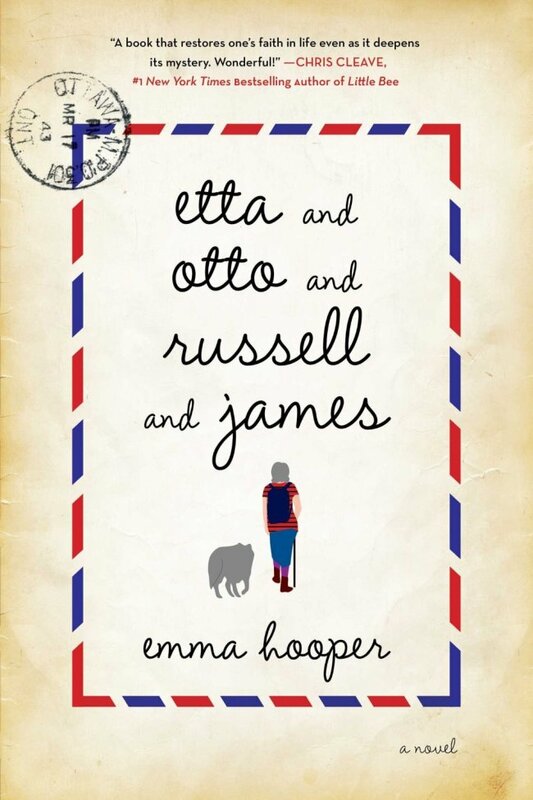 But the world of “Etta and Otto and Russell and James” is the construction of author Emma Hooper’s imagination. Her debut novel is a place where the distinction between memory and reality is unclear. Readers who can’t abide quotations without quote marks or who bristle at nonlinear storytelling will find this book frustrating. It will be their loss, because Hooper has conjured a character who is a gift: the 82-year-old Etta, who takes off on a quest to finally see the ocean. It’s a long way from rural Alberta to Canada’s eastern coast, and she intends to make the impossibly long trek on foot, leaving the car behind for her husband, Otto. Given my Silver Alert imaginings, it’s no surprise that Hooper soon had me rooting for a senior citizen who decides she has miles to go before she sleeps. I also found it easy to connect with Etta’s story, which captures the experiences of my mother’s generation working in what were traditionally male jobs during World War II, then ceding them when the men returned home. Etta carries a sheet of paper on the walk listing her name, age, farm name and relatives. The note is mostly for her own reference. Hooper suggests a variety of things that could have happened to Etta in the wilderness. The truth is unclear. At home, Otto writes letters to Etta that she is unlikely to receive. The story flashes back to the notes they exchanged when Etta was a schoolteacher and Otto was in the military. Hooper offers a variety of details Etta could have shared in her notes, but chose to keep private. Otto drives to a store to get a copy and ends up buying 326. After he cuts Etta’s photo from each one, the remaining heaps of newsprint spark a project that reveals his artistic nature. Their friend and neighbor, Russell, has tried to keep up with Otto all his life ― and has loved Etta from afar. Russell sets out in his truck to find Etta and encounters a boy who saw her: “She was singing, I think. She was fine. She was magical.” The boy doesn’t mention James, the fourth title character. A reporter who joins Etta on her long walk sometimes provides the will to continue. Etta’s mind and body fade while her fame grows. People gather in the woods and wait for Etta to pass; they ask her to carry little tokens to the water with her. Admirers hold up banners, hand her water and food, take her photo, and cheer her on. As the lines blur between Etta’s and Otto’s memories, and even between their physical bodies, readers emerge with a deeper appreciation for life and for its suffering against its backdrop of majesty. If you let it, the novel can encourage radical acceptance of the fact that everyone, and everything, is interconnected.